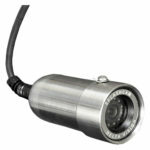 The SideWinder Black 360 has two cameras. One is down looking the other horizontal. 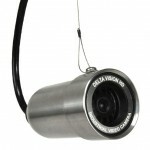 The Horizontal camera can pan 360 degrees within the cylinder. Use the included control pad to switch between the two cameras and control the panning function as well. 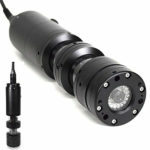 Great for Large Diameter Well Inspections and Tank Inspections.